Computer Repairs are our only goal. Speedy Computer Repairs are our ultimate goal. 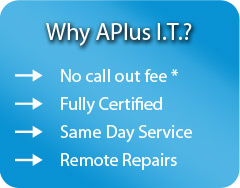 We consider fast computer repairs to be the core of our business. Delivering fast, friendly, efficient Computer Repairs why we are here. So if you are looking for fast computer repairs (onsite or overnight) then contact us today and we will take great care of you.